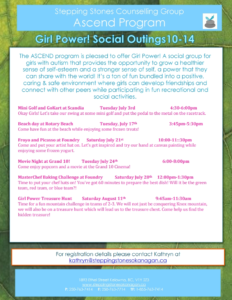 Girl Power Group (10-14 yrs) Tuesdays and Saturdays July-August (5:00-7:00pm). 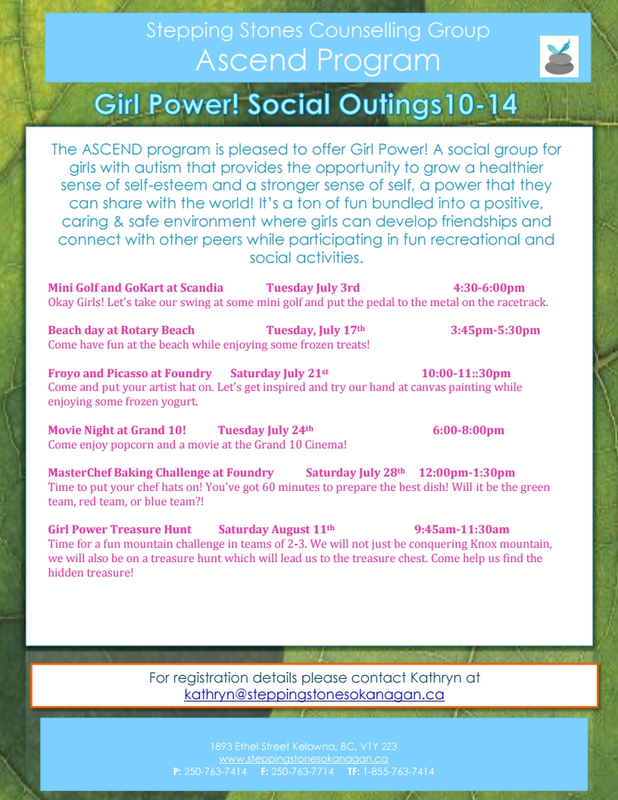 The ASCEND program is pleased to offer Girl Power! A social group for girls with autism that provides the opportunity to grow a healthier sense of self-esteem and a stronger sense of self, a power that they can share with the world! It’s a ton of fun bundled into a positive, caring & safe environment where girls can develop friendships and connect with other peers while participating in fun recreational and social activities. Please contact Kathryn at kathryn@steppingstonesokanagan.ca for more information and registration details.